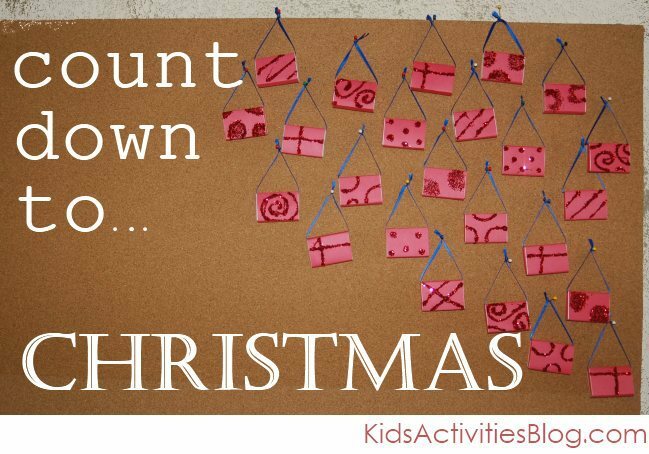 Every Christmas we like to create a Holiday Calendar – full of kids activities to help countdown to Christmas. Every year the list grows!! 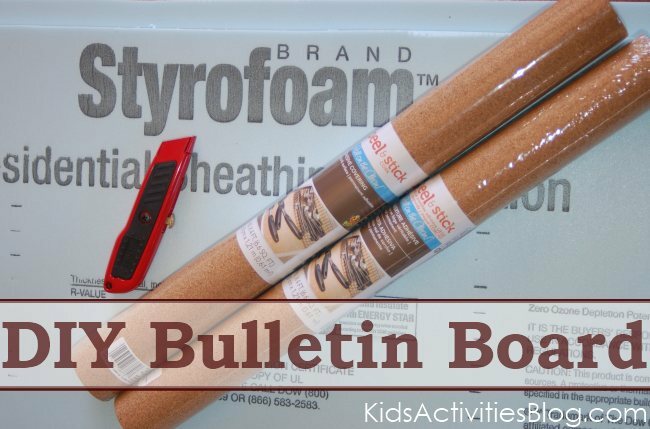 First year we did 10 activities, then last year we had 20 or so activities… this year we have 27 Christmas Activities to do with our kids and – thanks to Lowes – a place to display our activities. Print our list off and add your own traditions. I have seen matchboxes used as calendars before and couldn’t think of a way to organize them, until a recent trip to Lowes. We have a long wall in our school room with nothing on it… time to fill the wall with bulletin boards. They are the perfect backdrop to hang our matchboxes of activities. A side perk is that the insulation helps act as a noise block… our rooms are a touch quieter with less of an echo thanks to the insulation we were able to use. 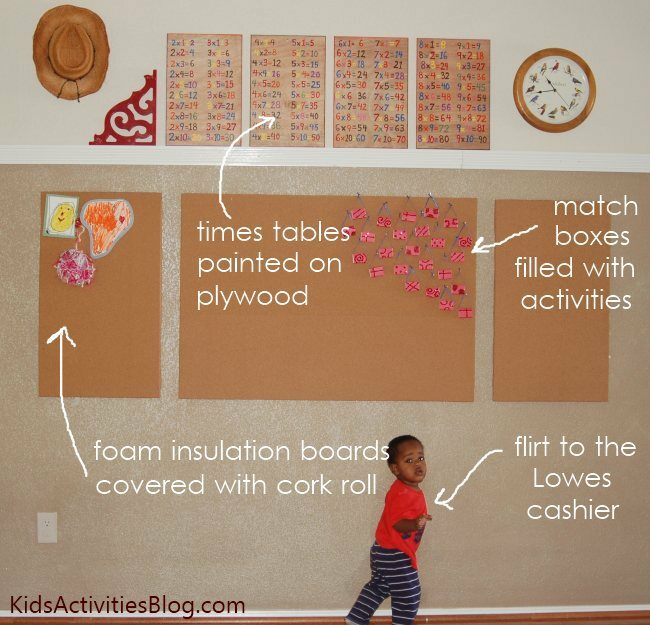 If only I had known how easy it was to make your own bulletin boards earlier, we would have rooms full of them! I already have plans to make a set for the girls room using faux stainless-steel instead of cork to cover the insulation boards. We used a razor blade to cut the Styrofoam sheets into the sizes that we wanted. The cork roll that is available at Lowes is the kind that is sticky on the back. I was pleasantly surprised at how easy it was to affix the cork to the Styrofoam! With our bulletin boards up – it’s time to Count Down to Christmas!! The kids and I sat down and brainstormed creating our advent list of activities for kids. One of the girls can’t wait to roast marshmallows, my son wants to tour Christmas lights one night, I love my family tradition growing up of having a family slumber party around the tree, we all want to make homemade gifts for our friends, and we can’t forget about decorating cookies!! 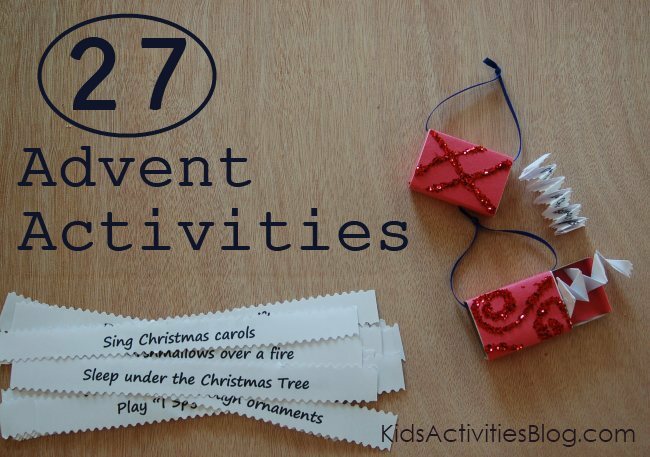 There are 27 super simple and classic Christmas Activities that we came up with to help your kids anticipate the Holidays!! We covered matchboxes that we collected with construction paper and glitter – and folded the slips of paper with our activity ideas, stuffing them into the boxes. Each day this Christmas we are going to pull a box down and enjoy an activity together. How does your family count down to Christmas?? Many thanks to Lowes for sponsoring this post. They paid for the supplies as part of our participation in the Lowes Creative Network. Previous Post: « Black Friday Restaurant Freebies! Really fantastic list, Rachel!! I have a four year old and a two year old and they both want as much Christmas activities packed into their day as possible. I’m hoping an advent calendar will offer them a way to stay excited and for me to stay on track! 🙂 Thanks for a great printable. Good post. I learn something more difficult on completely different blogs everyday. It is going to all the time be stimulating to learn content from different writers and practice just a little one thing from their store. Id prefer to use some with the content on my weblog whether you dont mind. Natually Ill provide you with a link on your net blog. Thanks for sharing.